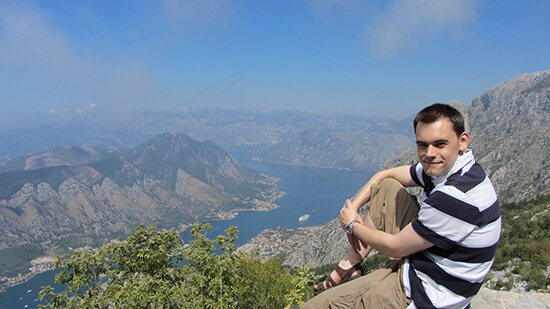 Let’s be honest: not a lot of people know an awful lot about Montenegro. Also referred to as Crna Gora, which translates as Black Mountain, Montenegro sits quietly on the edge of the Adriatic Sea, trying in vain to hide its gorgeous beaches, cobblestoned villages and beautifully blue seas lest, heaven forbid, neighbouring Croatia gets a little jealous. If you just want a taster of Montenegro then Herceg Novi is your best bet. Only an hour by taxi or hire car from Dubrovnik, the town is popular with day-trippers from the city who come for lazy mornings spent sipping coffees in the cobbled square, sunny afternoon strolls down the bougainvillea-lined streets, and sea kayaking trips along the pretty coastline. 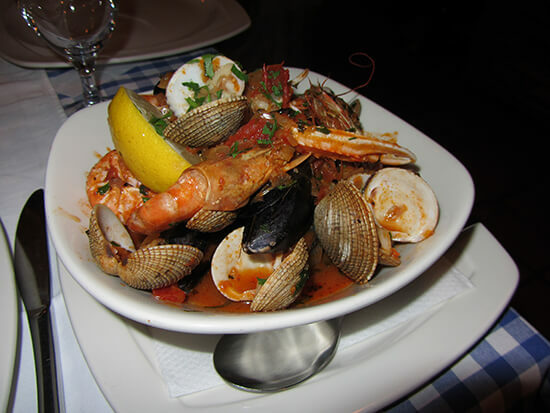 The town isn’t short on top-notch restaurants either, with many serving up freshly caught mussels and scallops. My top pick is Konoba Feral, a fabulous seafood joint where the lobster was so good (and inexpensive) that we went two nights in a row. The southernmost fjord in Europe, the Gulf of Kotor is a spectacular collection of bays, towering cliffs and mountains centred around the town of Kotor. Many choose to soak up the scenery by sailing glamourously into port by cruise ship or yacht but, for me, the best way is to walk along the three miles of 15th century fortress walls that start behind the Church of Santa Maria. After a reasonably steep climb (take water), you’ll reach the top, 260m above the town, from where you’ll be treated to stupendous views across the bays, spires and clock towers below. There’s no getting away from the fact that Budva is a large holiday resort. But really that doesn’t matter – the beaches are delightful, with long stretches of sand backed by towering cliffs. Plenty of water sports, including kayaking, parasailing and banana boating, are on offer, while convenient water taxis ferry sun seekers up and down the coastline. 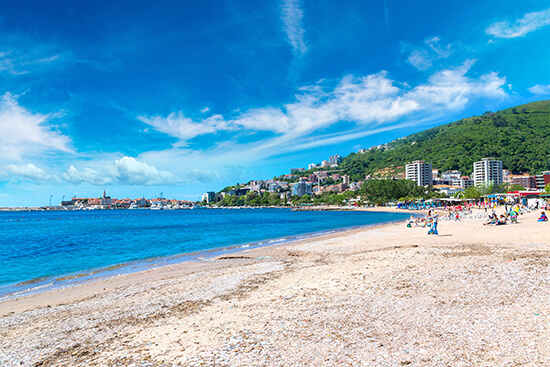 There’s culture here too, as Budva is home to a quaint little Old Town with a smattering of churches and museums to explore, plus some excellent seafood restaurants. When I first laid eyes on Sveti Stefan from the roadside, I knew I’d seen it before. Appearing on the front cover of various guidebooks, endless postcards and, as it turned out, an advert for travel insurance that I’d seen on the tube, it’s one of Montenegro’s most treasured sights. A small island connected to the mainland by a perfect sweep of sand, Sveti Stefan is covered in stone houses, their bright red tiles contrasting perfectly with the turquoise sea behind. Feeling flash? The island and its buildings make up the rather plush Aman Hotel. Over the years, Elizabeth Taylor, Sophia Loren and Princess Margaret have all stayed here, and tennis player Novak Djokovic got married here, so why not join them and treat yourself to a night or two? 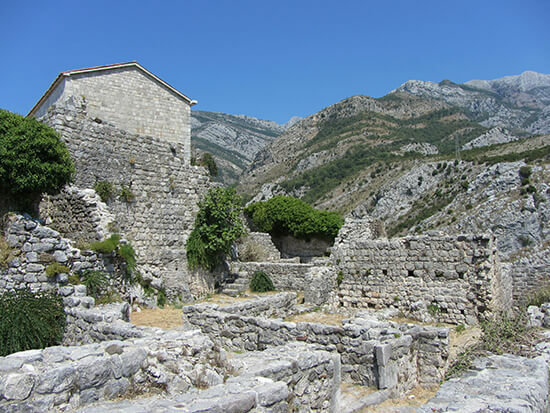 At the foot of Mount Rumija, on a hilltop just a couple of miles from the coastal town of Bar, lies Stari Bar, the crumbled ruins of the original town of Bar, built around 1,000 years ago. The site, sun-baked and dotted with olive trees, is an atmospheric one, and it costs just a couple of Euros to look around. The Old Citadel has especially lovely views and there are a number of churches and even an aqueduct to explore. For me the highlight was the Turkish baths, which have been sympathetically resorted to their former glory. 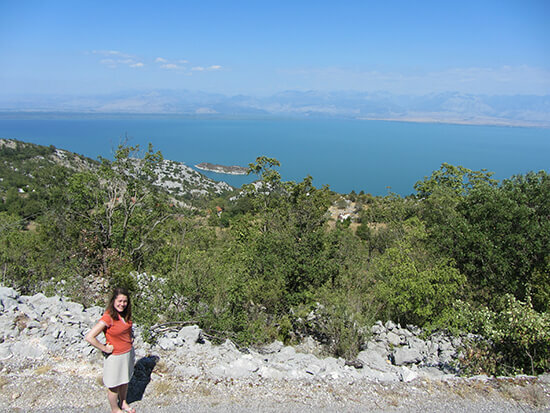 A short but scenic drive inland from Bar, in Lake Skadar National Park, stands Lake Skadar, a third of which belongs to Albania. Surrounded by mountains, monasteries and the odd village, the 27-mile long body of greeny-blue water is an arresting sight, especially when the lilies are in flower. Other than walking or driving along the water’s edge, the lake is a great location for birdwatching, with over 280 species recorded here, including eagles. Spot them from one of the five ornithological reserves along the shoreline or climb to the top of the birdwatching tower. Only 11 miles north of Albania, but still just three hours’ drive from Dubrovnik, the town of Ulcinj is home to 26 mosques. While their minarets and domes are interesting enough, the top sights here are the town’s two lovely beaches. 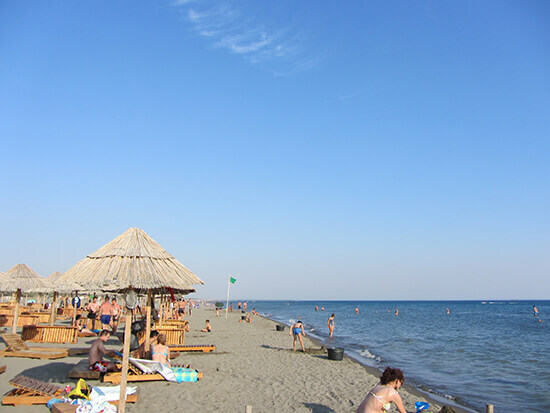 The first, Mala Plaza (Small Beach), is found in town, while the second, Velika Plaza (Great Beach), is just outside, its eight mile, grey curve of sand running right up to the border with Albania. Individual portions of sand have exotic names such as Tropicana and Copacabana, which just invites you to kick back with a fruity cocktail and enjoy the sunshine. Want to extend your time in Montenegro? Chat to our Experts about taking a road trip around the country’s interior, stopping to raft the Tara River, hike the mountains of Durmitor or Biogradska National Parks or admire the Islamic architecture in Plav.